CarGurus has 276 nationwide Caravan listings starting at $2,800. A lot of changes hit the Dodge Caravan in 1987, most notably a more powerful engine. The mid-year models featured an optional V6, 3.0-liter, 140-horsepower engine available in the 3-speed automatic models. Not only did it give the Caravan more oopmh, but also made for a smoother, comfortable ride. The 2.2-liter was still standard, but was eventually replaced by a 2.5-liter, 4-cylinder which became standard after 1987. The 5-speed 2.2-liter gets about 21/29 fuel economy. 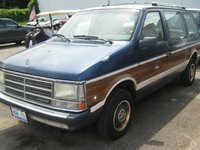 The 1987 Dodge Caravan also offered an extended version, with a 119-inch wheelbase and an added 7.6 inches in the rear, providing more cargo room. These extended versions were later called Grand Caravans. They made the ride roomier, but the van was still short enough to fit in a garage. The double-stacked headlights were replaced by single headlights that gave the front end a sleeker look. By 1987, half of all minivan sales were Dodge Caravans. Drivers complain about the four-cylinder engines being underpowered, but love how much they can haul in the car. 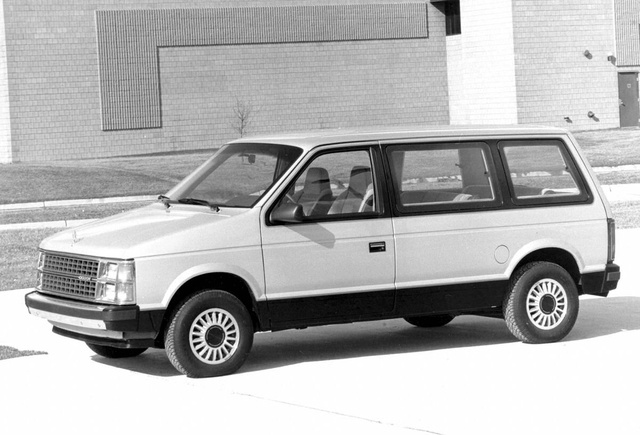 What's your take on the 1987 Dodge Caravan? 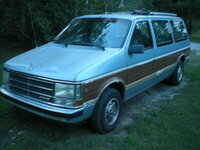 Have you driven a 1987 Dodge Caravan? Why Is The Radiator Smoking? How Do I Fix The Heat? We only get heat when driving the highway?? ?